Surface Pro 4 Type Cover has an improved design with slightly spread out keys for a more familiar and efficient typing experience. 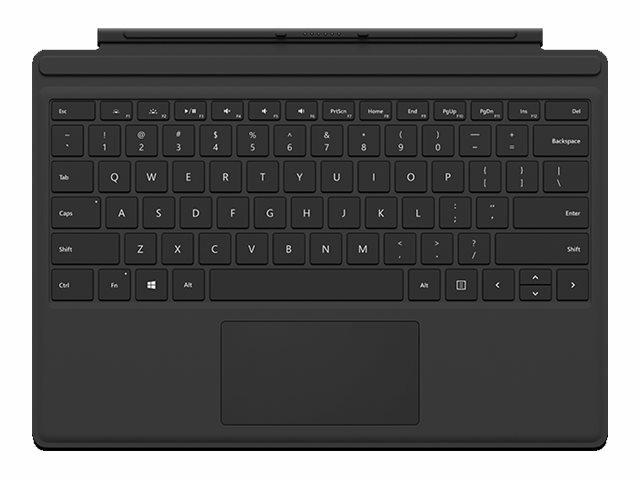 The two-button trackpad is now larger for precision control and navigation. The keyboard is sturdy with enhanced magnetic stability along the fold, so you can adjust it to the right angle and work on your lap, on the plane, or at your desk. 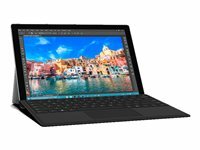 Since it's designed just for Surface, the Surface Pro 4 Type Cover easily clicks into place to go from tablet to laptop instantly. 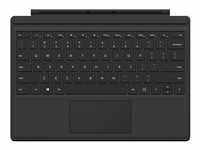 Surface Pro 4 Type Cover is made from premium materials and feels soft to the touch yet sturdy and quieter when typing. 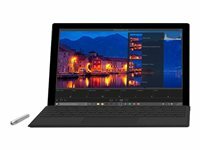 Plus Surface Pro 4 Type Cover is backlit, so you can continue working after the lights go out.